The owner of the Montreal Canadiens did not mince words Monday afternoon in Brossard, Quebec, as he and General Manager Marc Bergevin were grilled by the local media on clean-out day. “Changes are coming,” Molson promptly stated when addressing the team’s lackluster season. He furthered on by that the team will do everything it can to improve. It was no doubt an underwhelming season in Montreal on many levels. Star goaltender Carey Price underperformed in a year following his mega-contract extension, All-Star defenceman Shea Weber was on the shelf for the majority of the season due to injury, and captain Max Pacioretty’s leadership skills were called into question on a never-ending basis. The slew of negativity never seemed to leave the team. But despite such a poor season, Bergevin believes the team still has enough talent to be better, and that a lot of this season’s lack of success is due to mentality. “I believe that with a better attitude, we don’t have 40 losses,” Bergevin responded when asked what he thought were some of the contributing factors into the Canadiens’ horrid year. He went on to say “the team was never competitive” and was “behind the eight-ball” from the beginning of the year. In addition, Molson and Bergevin vowed to be more transparent and open with the fan base. “The more transparent we can be, the happier our fans will be,” Molson said. Bergevin and Molson went on to say that everyone in the hockey operations department is under evaluation and the process has already begun. 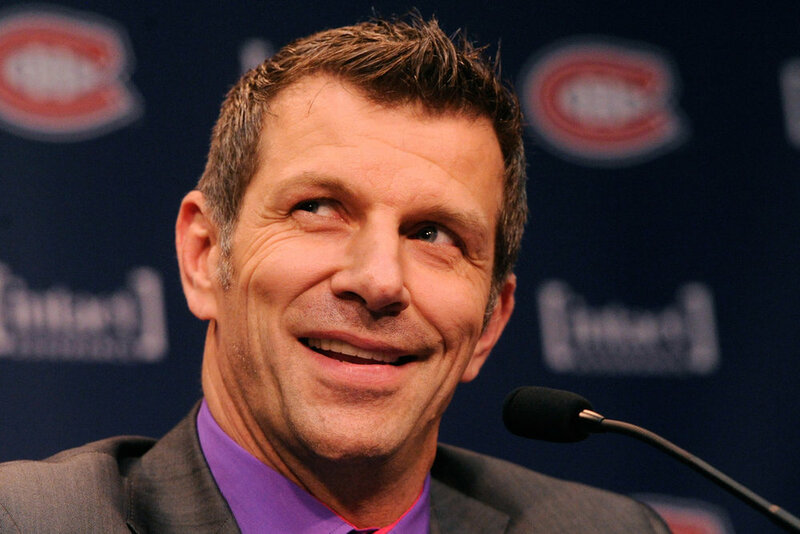 Bergevin indicated necessary changes would be made over the coming weeks. As has been the case in Montreal all season, many reporters inquired if the team would be interested if any big-name free agents were to become available this summer – such as John Tavares; whom RDS showed a highlight package during the time of this question. Bergevin responded in saying that they’d have to wait and see who will be available come July 1, which is all he could really say on the matter without being accused of tampering. The futures of Pacioretty, forwards Paul Byron, Andrew Shaw and Alex Galchenyuk, and defencemen Jordie Benn and David Schlemko, all of whom were the subject of trade speculation this season, remain up in the air.